The industry-leading PVC-U systems company is well known for investing in people, plant and technology for the benefit of customers. One such investment in recent years was a BlackBelt 3D printer, which recently saw VEKA Group print a full-sized M70 casement window. Head of Technical Paul Kennington said: “VEKA Group is well known for staying ahead of the curve when it comes to innovation in PVC-U. 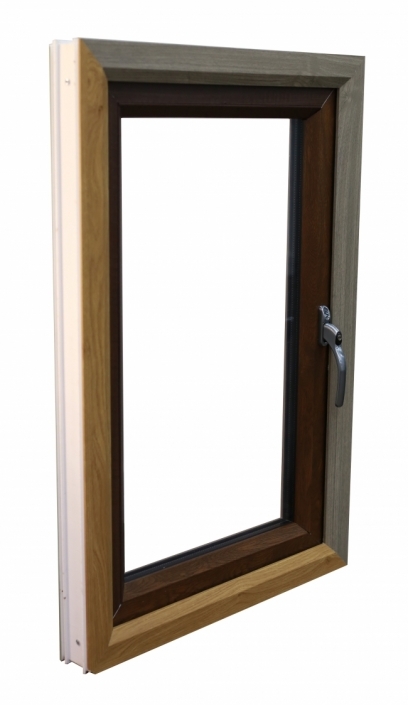 To highlight just a few examples, the company runs the industry’s most technically advanced on-site mixing plant, was first to create a window rated ‘A’ for efficiency, first to offer a BSI Kitemark-accredited Bi-Fold Door and first to open a dedicated PVC-U profile recycling plant. “Now, we believe VEKA Group is the first to ‘3D print’ a fully functioning window. We invested in this top-of-the-range 3D printing technology because it offers significant benefits for our customers, particularly for prototyping. It means we can create and test the viability of potential new products immediately, for a fraction of the cost associated with traditional prototyping. We can anticipate where efficiencies can be made and solve any potential problems long before we get to the more involved tooling design stage. “It has already allowed us to produce numerous prototypes for internal needs and for our customers, including designing and testing a new bottom rail for a customer to add to their door range. “The unique thing about VEKA Group’s printer, compared to others we’ve used in the past, is that it can print to any size. So rather than creating a ‘scale model’ of something, we can actually produce a ‘like for like’ physical product that customers can get to grips with. For example, the fully functioning M70 side-opening casement we’ve 3D printed is life sized and we’ve been able to fit it with all the relevant hardware. It’s already been used for demonstration purposes on a number of occasions.